Well done to Connie for being chosen to receive this term's award. Dame Sarah presented the award and spoke about how this positive attitude will take Connie far as she moves up to High School next September. Connie has shown outstanding resilience during her time at Disley and all the staff have recognised this. 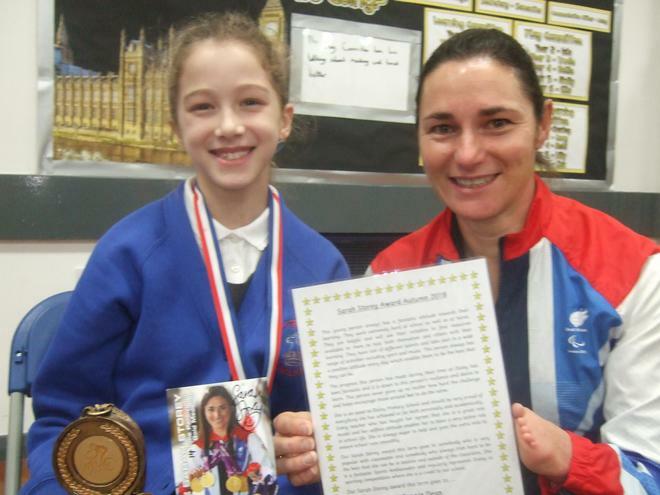 Connie contributes to school life and often represents Disley in sporting competitions and events. She is a kind and caring member of her class and a good friend to others. Keep up this amazing work and attitude Connie and you will go far in life.